It’s often said there are more festivals than days of the year in Nepal. Okay, so that might be a bit of an exaggeration, but this is definitely a country with lots of celebrations happening — there are seven different New Year’s holidays alone, reflecting Nepal’s rich diversity and multiculturalism. Christmas may be a Christian holiday, but you can still find it celebrated all over Nepal. Kathmandu is the most happening place with lots of parties and DJ performances. Many restaurants and bars feature special Christmas programs, complete with live concerts and food stalls. 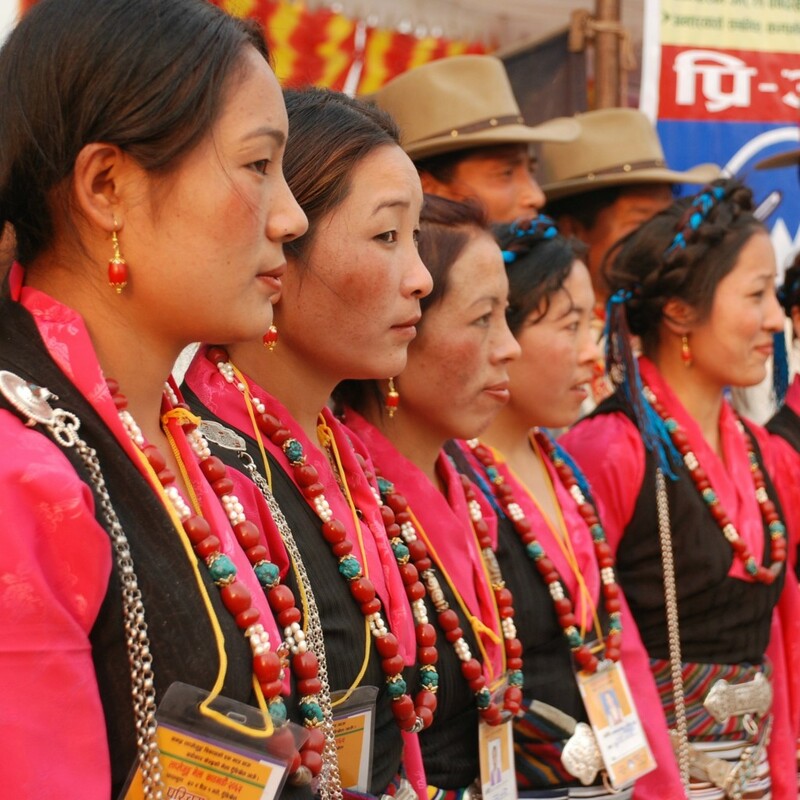 The Tamu, or Gurung community, is Nepal’s indigenous people, who hail from the country’s mountain valley regions. The Gurung include Sherpa, Tamang, Thakali, Magar, Manaaggi, Mustaaggi, and Walunggi. “Lhosar” translates to “New Year,” so Tamu Lhosar marks the beginning of the Gurung calendar year, and is a time for family to gather, visit Buddhist shrines, and exchange love and greetings. Public ceremonies are held in many of the open spaces in Kathmandu, where you can enjoy cultural programs and different traditional foods. With some seven different New Year’s celebrated by different ethnic groups throughout the year, it’s no surprise January 1 has been added to the list of Nepal’s recognized festivities. Many restaurants and hotels offer holiday programs to make sure you spend this last day of the year merrymaking. This festival celebrates the goddess Shree Swasthani, a Hindu deity who grants wishes to pure souls. To honour the deity, the Hindu tale of Swasthani Brata Katha is recited every day for 30 days throughout mid-January to mid-February. The month-long festival is marked by a fast with just one meal per day, particularly by women, who wish for family health and happiness (if married) or to find a good husband (if single). When the festival concludes, various dishes are prepared to mark the end. Tradition dictates that everything must be presented in 108 pieces, from flowers to food, as an offering to the goddess. Of the 108 pieces, eight are given to husbands; if there is no husband, then to son, if no son, then to the son of a friend, or if no friend, then the fasting woman releases the offerings into a nearby river. 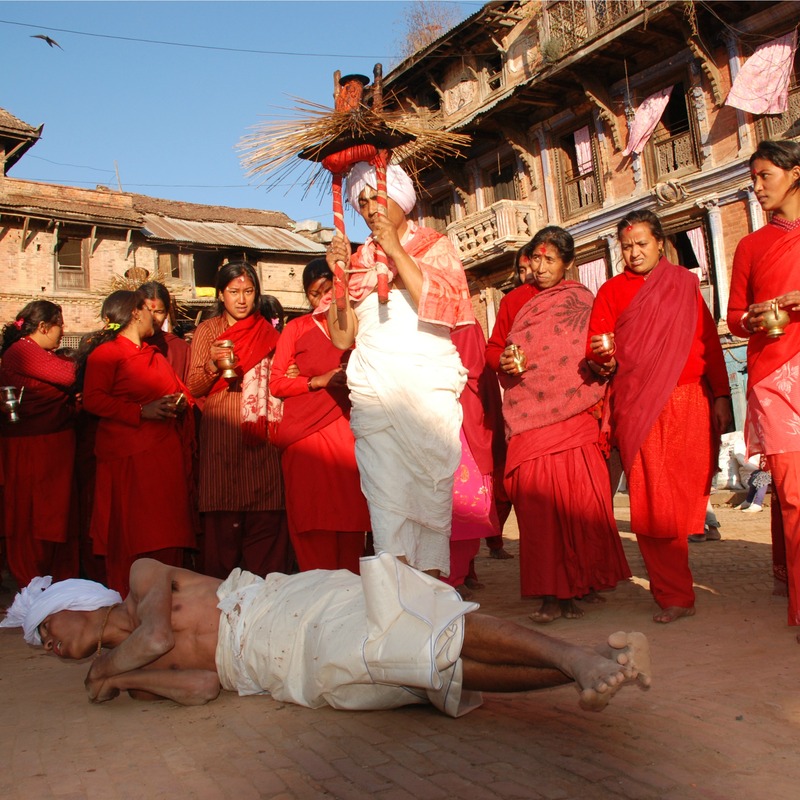 One of the popular places to celebrate Shree Swasthani Brata Katha is in the village of Sankhu. Thousands of people dressed in colourful attire gather on the banks of the river to celebrate the festival. Full moon days are always considered a special time to visit temples and Buddist shrines in Nepal. Sites are decorated with lights, candles, and colourful flags. You’re not going to find a full moon party, but rather a more serene display – perfect for photo ops, especially in January when dark nights make the lights shine so much brighter. Maghe Sankranti is observed on the first day of Magh, the holiest month of the year (the month of Magh begins in mid-January in the Western calendar). The festival is celebrated all over the country and marks new beginnings, with warmer weather on its way and wishes for renewed health and fortune in the coming season. Bathing is a strong aspect of the celebration, with many Hindus taking holy baths in Nepal’s sacred rivers (a true dedication to their faith given that Maghe Sankranti is also considered to be the coldest day of the year!). It’s also a big time for food; traditionally, every household prepares a special soup that’s a blend of different grains and sweet potato. Other seasonal treats include sesame sweet balls and a hardened molasses candy. Towards the end of January, another New Year’s celebration takes place. The Tamang people, an indigenous group from Nepal’s Himalayan regions, follow the Tibetan lunar calendar and traditionally mark their New Year as the second full moon after the winter solstice. Tamang from all over Nepal gather to celebrate, visiting monasteries and stupas, and perform ritual masked dances intended to rid the community of evil forces. Homes are cleaned, new clothes are purchased, and special meals and desserts are made for family gatherings. If you’re in Kathmandu during Sonam Lhosar, expect cultural programs, food festivals, unique attire, drum performances, and traditional dances. 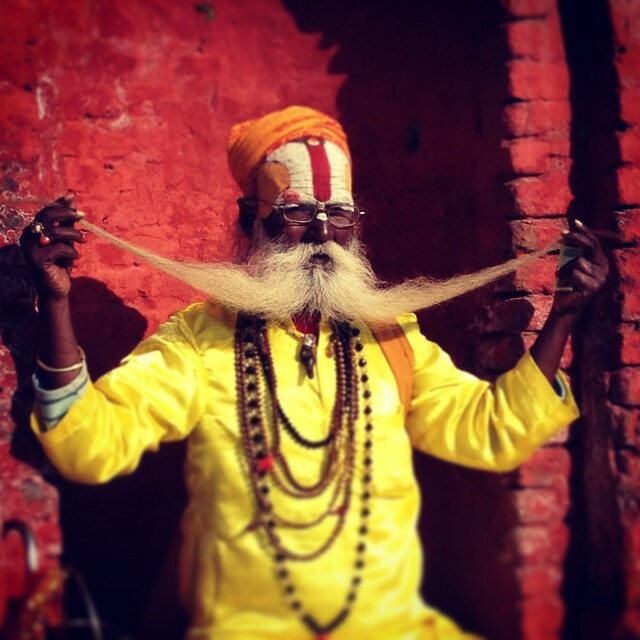 Headed to Nepal? 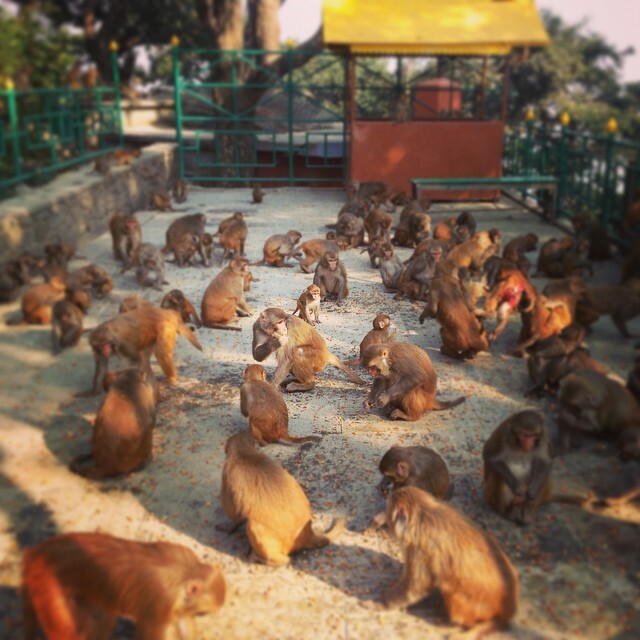 We’ve got tips for lots of things to see and do in Kathmandu and Pokhara!